This easy waffle recipe ensures that your waffles are light and crispy every time. And if you’re not sure what toppings to put on waffles, try these blueberry waffles with banana or chicken and syrup waffles for a sweet and savoury twist. 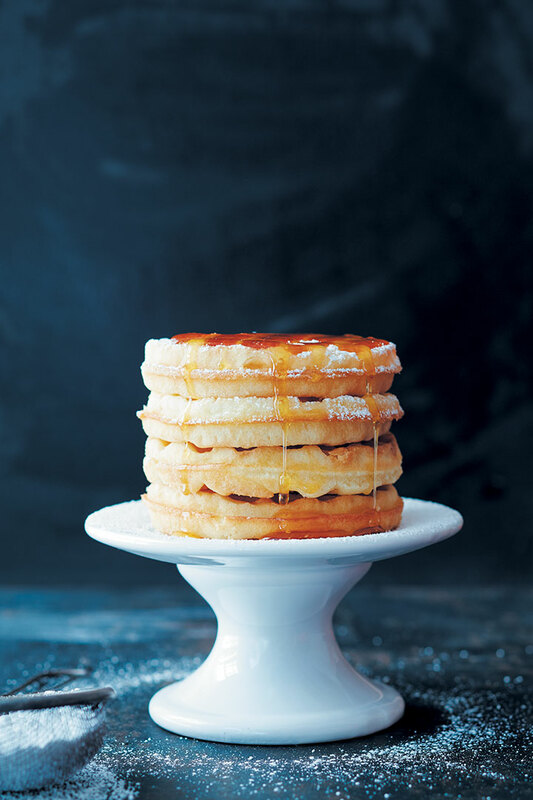 Can you use a pancake recipe for waffles (or vice versa)? It is not recommened that you use a pancake recipe for waffles, but if you want to you need to add extra fat. This can be in the form of oil or butter. This will ensure that your pancake mixture won’t stick to the waffle iron. What’s the difference between a regular waffle and a Belgian waffle? Belgian waffles are lighter and crispier with much deeper pockets while regular waffles are more dense. To make a Belgian waffle, you will need a yeast-based recipe or one that contains fluffy egg whites. Ladle the batter into a preheated waffle iron (or into your silicone mould and insert into the oven for 15 mintues). Cook the waffles until golden and crisp. Serve immediately. Most waffle recipes call for baking powder because it makes the waffles light and crispy. If you don't have baking powder, you can substitute with baking soda and buttermilk. SEE ALSO: If you’re looking for a basic waffle batter recipe with more bells and whistles, click here.